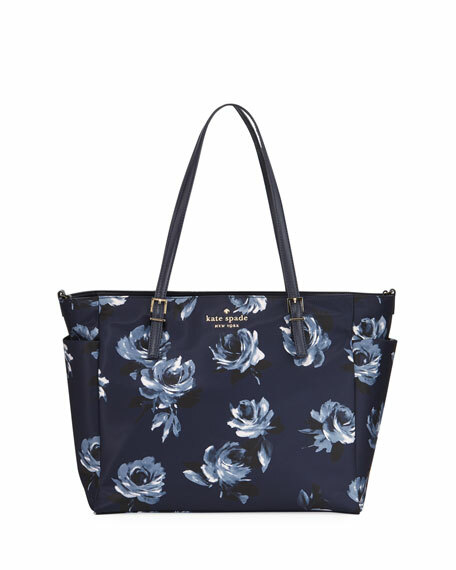 kate spade new york "watson lane betheny" nylon baby bag in night rose print. Adjustable thin top handles, 10" drop. 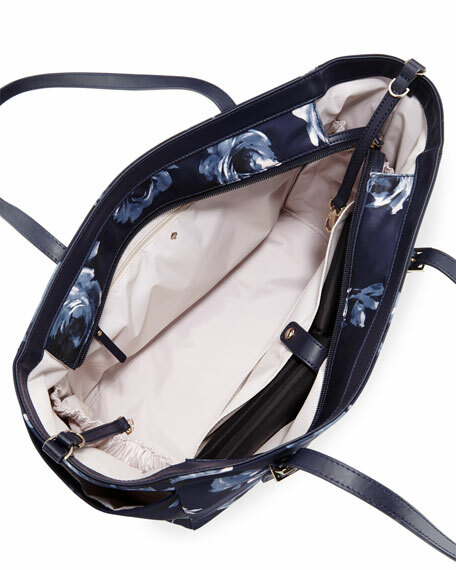 Interior, open and zip pockets. 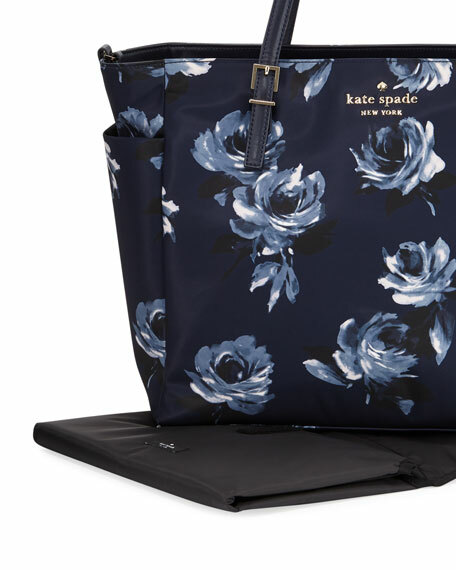 11.7"H x 14"W x 7.2"D.
For in-store inquiries, use sku #2418460.